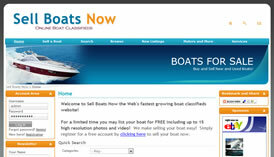 We specialize in designing marine websites! Why Jet Web Designs ? When we are not in the office working, we enjoy spending most of our time enjoying the waters around South Florida. We enjoy designing marine websites almost as much as we enjoy being on the water! We are uniquely qualified to design marine websites. Unlike other Web design companies, we understand the marine industry. We are intimately familiar with marine terms and all aspects of the industry and how they relate to one another. Most importantly we know what appeals to your clients and how to market your products and services to them! Let our passion for the water show in your new marine website! And any other areas of the marine industry! Fill out one simple form and get a free quote for your project. Obtaining a Web design quote has never been easier and best of all, it's free! Click here to get a free quote now! I just wanted to take a second and thank you for the great job you did on my website. The results have been unbeliveable! I truly appreciate your professionalism and attention to detail. Copyright © 2013 Jet Web Designs, Inc.